returning to the same spot! 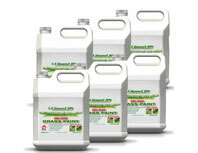 Kit Includes 56oz. 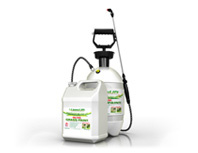 Sprayer & Two 8oz. Ultra Concentrates! 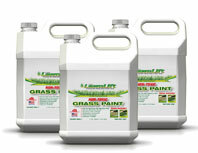 Kit Includes Premium 2 Gallon Sprayer Plus 32oz. Ultra Concentrate! 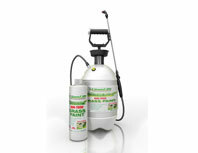 Kit Includes Premium 2 Gallon Sprayer Plus 64oz. Ultra Concentrate! 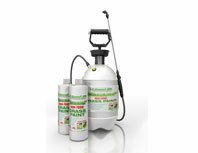 Kit Includes Premium 2 Gallon Sprayer Plus 1 Gallon Ultra Concentrate! 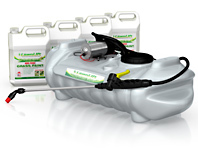 15 gallon, DC powered sprayer kit. 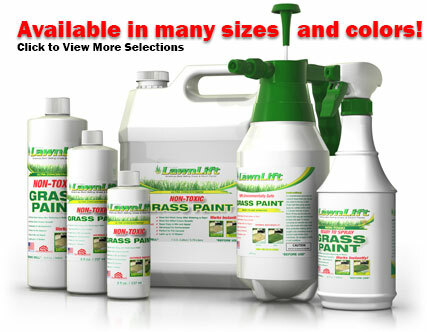 Perfect for large areas and contractors! 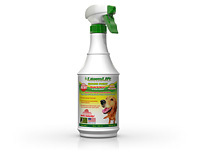 Includes 2 gallons ultra concentrate! 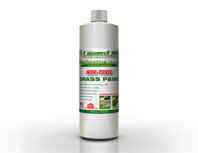 OUR LAWN AND MULCH PAINTS ARE TIME TESTED AND PROVEN TO BE THE BEST AVAILABLE! 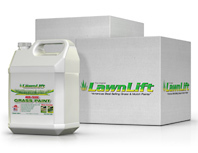 LAWNLIFT™ has been used for years keeping athletic fields, golf courses and resorts around the world looking pristine and green… Now it's available to the public for residential use. 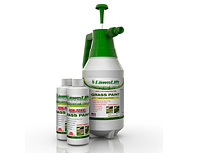 LAWNLIFT™ s perfect for small pet spots, troubled dry areas or entire lawns! 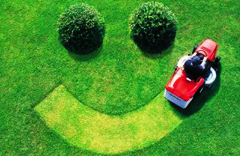 Did you know that sprinklers account for more than 50% of the average water bill! 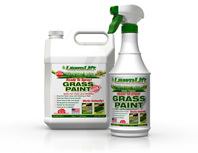 Save Hundreds and go green today! Don't be fooled by the competition! 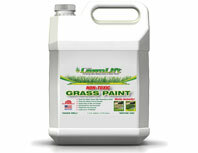 Our Ultra Concentrated Grass Paints makes 10 to 20 times as much product for less $$$. 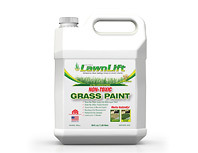 LAWNLIFT™ is consistently rated as a "best color match" to real turf! 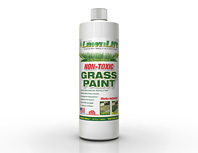 Most competitors sell a commercial grade transparent paint/dye that looks un-natural and tends to turn a fake blue/green color. REO agents, HOA communities and Homeowners, avoid costly code violations for dead grass by using LAWNLIFT™...Spray it green today!